This week we take a hilarious look at the novelization of questionable Jason Alexander vs an orangutan (in a hotel) movie: Dunston Checks In! And suffering alongside me is fan favourite guest host Lizzy Unpronounceable! 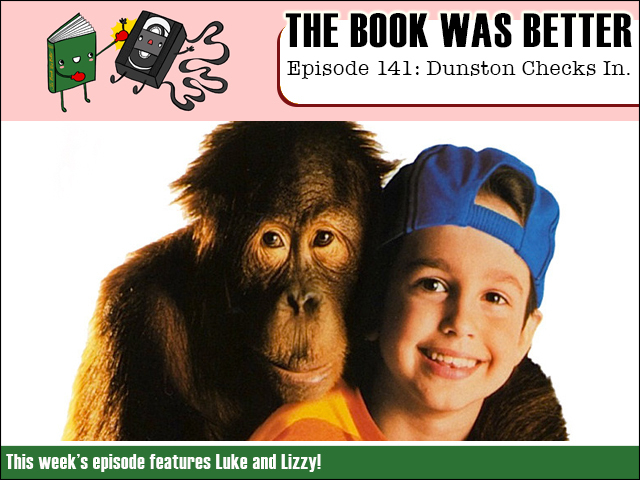 We endeavour to answer all the big questions like: Does Dunston actually check in? And is knocky-trunky the brand new craze that is sweeping a nation? FPcast for October 19 2015: Crimson Peak!